If you are making your mind to download and install an intuitive, fast and smart media cutter on Mac then Joyoshare Media Cutter is next to none. Hoping to get Joyoshare Media Cutter for Mac? Well, you should if you have a Mac product and looking for a powerful, intuitive and seamless video cutter for Mac. You might have seen a bunch of Media Cutter Software for MacOS but most of them charge a good amount or not user-friendly. JoyoShare Media Cutter is an exception, which is easy to use and multifunctional media cutter. This multifunctional media cutter is powerful enough that deliver 60x video conversion. This software meant to help you cut, join, merge video or audio. Joyoshare Media Cutter supports all popular multi-formats that include MKV, MPEGMP4, 3GP, AVI, MOV and also audio formats like WMA, WAV, MP3 and much more. Having a MacOS device, you can try out this useful Media Converter. It supports on MacOS 10.8-10.13; so, without any worry, it can be downloaded on your Mac device. The good thing is that you can have a trial version before dive into this Video Cutter for Mac. Also, get to know its major features, which are extremely helpful and makes it amazing feature-rich media converter for Mac. This video and audio cutter for Mac has many features which make it must have video cutter program for the MacOS users. Here we will review its all major feature to conclude about this software. While cutting a video or audio file, you get the pin-point precision. It does offer two methods using control key and just setting the temporal interval to get your right video frame or audio segments. By using the advanced acceleration processing algorithm, it works at 60x faster than most of the existing media cutter free for Mac. So, to get your desired video portion from a video clip on the go without taking much time for processing. Joyoshare trims your video and audio without quality compromising. Well, most of the media converter for Mac delivers poor output but now using the innovative lossless video/audio trimmer it preserves 100% original quality. Capturing the video or audio segment, you can even edit the chosen clip to improve it. The editing tool is endowed with stylize preset to may your new video in the way you like. Many audio and video formats like WMA, WAV, AVI, MP4, MP3, MPEG etc. There are also many presets for multiple popular devices to create the best output with it. It has an easy understanding interface and navigation method even for a new user. After cutting, splitting, joining and converting a video/audio, there is a direct YouTube sharing option. How to download Joyoshare Media Cutter for Mac Free? Joyoshare Media Cutter for Mac can be download for free but it would 30 days trial only. To give it is a shot, you are recommended to download the Trial version of Joyoshare for Mac first. Joyoshare Media Cutter full version cost you $39.95 but now with the special price you can save $10. 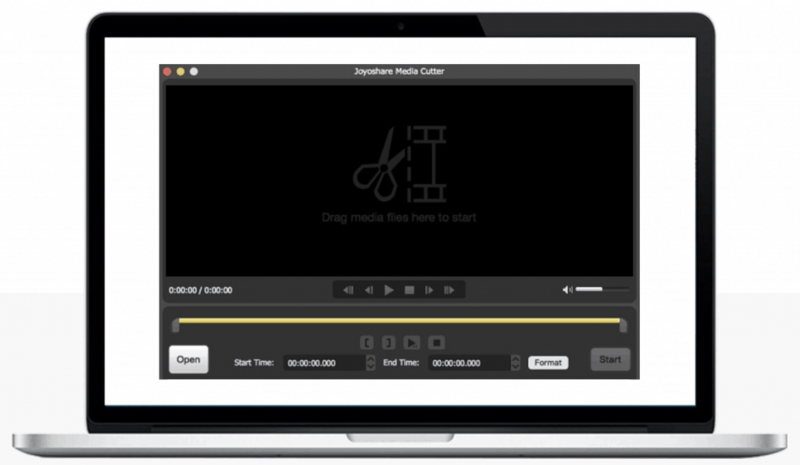 So, you can buy Joyoshare at just $29.95 to get this premium version video/audio cutter for Mac. So, if you are making your mind to download and install an intuitive, fast and smart media cutter on Mac then Joyoshare Media Cutter is next to none. As you can see this media cutter for Mac product is feature-rich. This is not just a video/audio cutter but it can join, trim, merge, edit etc, to stylize as per your desired media file. Get this professional media cutter tool at a special price now for your Mac device. Also, there is a trial version, which you can get free of cost for a limited period.